The Teal Lace Short Holster by Lethal Lace is a shorter length, designed to worn on any portion of the leg. It is ‘one size fits all’. One for extra magazines, concealed carry permit, lipstick, etc. 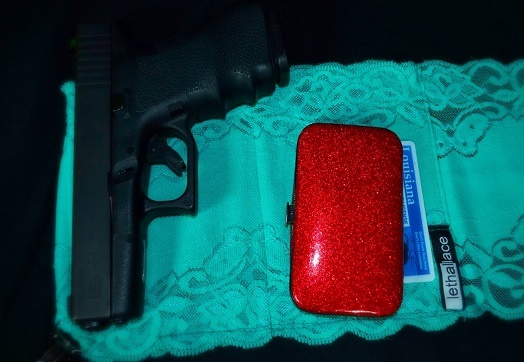 NOTE: Included, is a neoprene foam pad in the firearm pocket. This will aid with concealment, but can be removed, if you prefer. NOTE: This video uses only the longer lace holster. Same instructions apply to the shorter version.